Nikon’s engineers have been busy over the last few years giving its DSLR line-up a structural makeover. With the D5300 we saw Nikon adopt a brand-new monocoque structuring for the camera, which was taken up by the D750 a few months later. This design does away with the conventional metal chassis and polycarbonate exoskeleton and instead uses a single shell constructed from thermoplastic, which is reinforced with carbon fibre. As a result, the cameras can be made slightly smaller, and lighter too. At 420g body only, the D5500 is 60g less than the D5300. 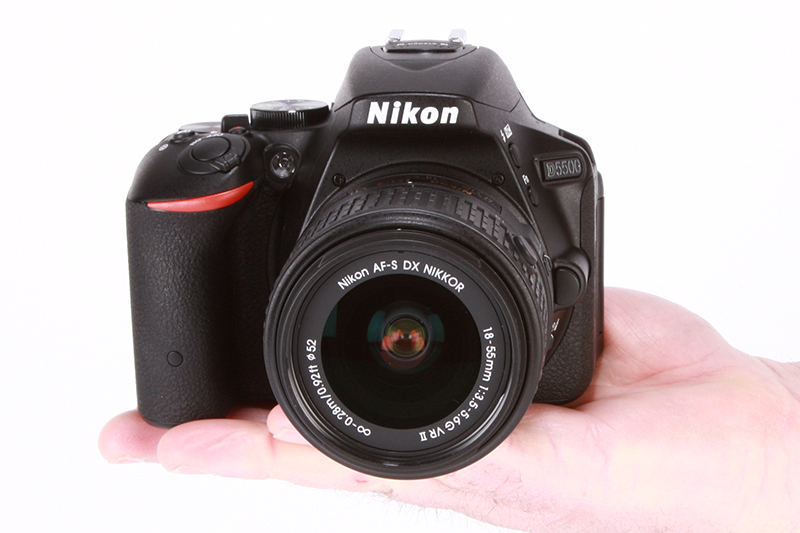 In terms of size, the D5300 measured 125 x 98 x 76mm, whereas the new D5500 measures 124 x 97 x 70mm. Comparing the D5300 to the D5500 on paper would have you believe that the D5300 has the bigger grip. However, while the dimensions are slightly larger, the redesigned body of the D5500 gives a far more pronounced grip and a much deeper gap between the lens and handgrip. It’s a design feature we praised highly in the D750 and it’s great to see the same style rolled out on the D5500. I found, when walking around with large lenses, the camera now sits more comfortably in the hand than its predecessor. Being at the upper end of Nikon’s entry-level DSLR line-up, there are minimal buttons and the layout is very straightforward. 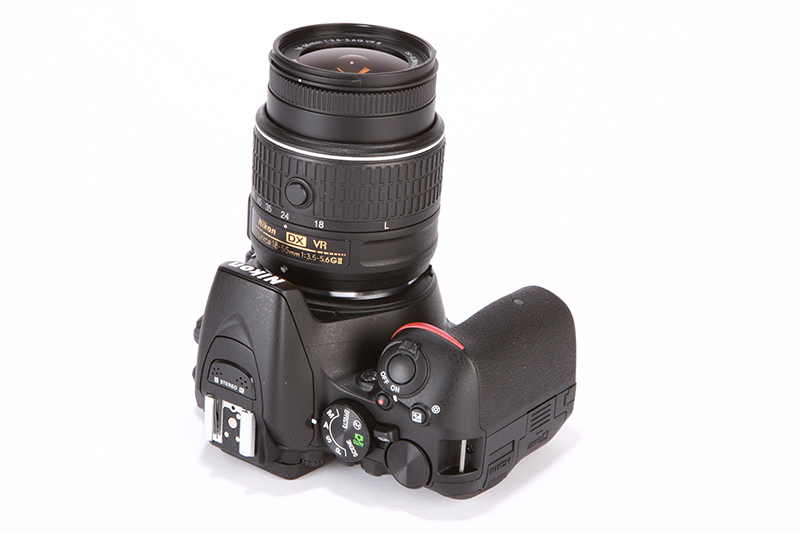 There are slight button changes compared to the D5300: the info button has moved from above the shutter button to next to the eyepiece, which is where the i button used to be housed on the D5300; instead, the i button is now positioned just above the D-pad, making it much closer and easier to reach. Many of the core controls can be adjusted by tapping the i button and users can see the values on the rear LCD. Now though, Nikon has added a touchscreen, so as well as using the rear dial to scroll through values and settings, there’s the option to tap up/down and select things via the LCD screen. This gives a different user experience and those who are au fait with touchscreens will likely find this their go-to method. Of course, more physical controls are great, particularly for the professional who knows their camera like the back of their hand, but when using cameras with very few designated buttons to control things, it’s a great help to have an intuitive touchscreen interface by which to adjust controls. With a little menu diving through custom settings, it’s possible to select different controls linked with the LCD. For example, it’s possible to slide your thumb across the LCD to adjust ISO sensitivity while looking through the viewfinder. It is also possible to place one of the focus points wherever desired in the frame using the LCD. In all, this a nice feature to have.